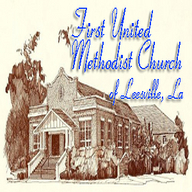 LIVE from First UMC in Leesville, LA. Service starts @ 11am cst. Rev. Angela Bulhof brings the Contemporary Word, in a refreshing way.